Two Aussies are competing in the International KZ2 Super Cup in Germany this weekend that supports the KZ World Championship. JC Kart driver Aaron Cameron will run with the factory Parolin Racing Kart Srl team (using Parilla engines) while Troy Loeskow suits up with Ricciardo Kart Racing (Ricciardo/TM). Two Kiwis, Dylan Drysdale and Daniel Bray, are also competing in KZ2, both with the works GP Karts team using TM engines (read more about the Kiwis in the earlier post HERE). 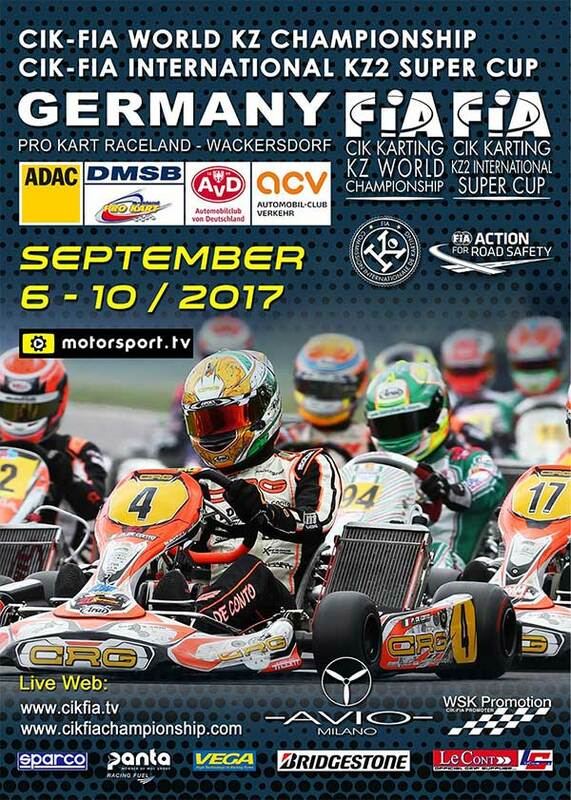 Wackersdorf hosts the CIK-FIA World KZ Championship and the CIK-FIA International KZ2 Super Cup this weekend. More than 160 drivers have entered – 44 in KZ and 118 in KZ2. 27 countries and four continents will be represented with a strong predominance from Italy (40 drivers) ahead of Germany (28), the Netherlands (14), France (13) and Sweden (11). As for the engines, TM Racing dominates significantly with more than 75% of the field in front of Vortex (15%), with Modena Engines, LKE, Parilla and DEA sharing the remaining 10%. This distribution could be one of the key elements of the Competition. The 2016 World Champion and 2017 European Champion, Paolo De Conto (CRG / TM Racing / B’stone) is the favourite for the CIK-FIA World KZ Championship at a track where he has already won many times. However, the exceptionally large entry (44 Drivers) at Wackersdorf has enough novelties to ensure that the outcome of the World Competition will not be predictable in advance. The seeds of KZ will be well represented in Germany with several big names of the discipline, very much motivated to take their revenge. Patrik Hajek (Kosmic / Vortex / B’stone) and Marijn Kremers (BirelART / TM / B’stone) who accompanied De Conto on the recent European podium, as well as Bas Lammers (Sodi / TM / B’stone), Jeremy Iglesias (Formula K / TM Racing / B’stone), the brothers Jorrit and Stan Pex (CRG / TM Racing / B’stone), specialists in the Bavarian circuit, Simo Puhakka (Kosmic / Vortex / B’stone). 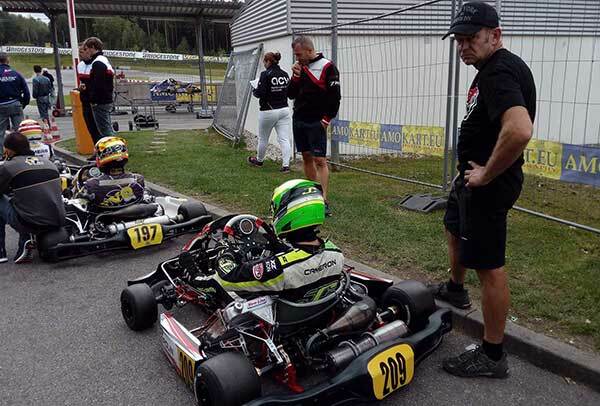 Two talented Drivers, absent from the international scene because of injuries, Marco Ardigo (Tony Kart / Vortex / B’stone) and Anthony Abbasse (Sodi / TM Racing / B’stone), will make their come back in Germany. But the unusual aspect of the 2017 edition comes from the presence of several Drivers from KZ2. European Champion Leon Köhler (Tony Kart / Vortex / B’stone) is likely to be one of the favourites on his home territory, along with Pedro Hiltbrand (Tony Kart / Vortex / B’stone), Matteo Vigano (Tony Kart / Vortex / B’stone) and Fabian Federer (CRG / TM Racing / B’stone). Meanwhile, Lorenzo Camplese (Parolin / Parilla / B’stone) will test a new engine, and several Drivers will return, including Ben Hanley (Croc Promotions / TM Racing), Jordon Lennox-Lamb (Tony Kart / Vortex / B’stone) with a new team, and especially a great Driver of the 90s, Ronnie Quintarelli (BirelART / TM Racing / B’stone). All these elements together promise a spectacular Competition. 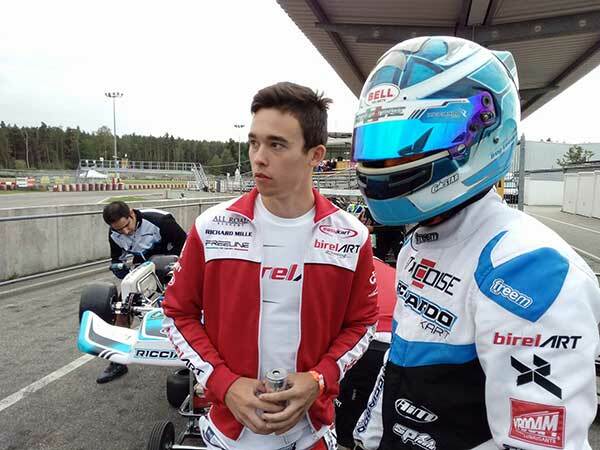 Marijn Kremers is racing with BirelART in KZ, here with Troy Loeskow. The CIK-FIA International KZ2 Super Cup has rarely promised such an attractive program. With 118 entries, there is no risk of a lack of contenders. Many European Championship leaders, mostly factory Drivers, migrated to KZ for the occasion, opening the door for the revelation of new talents among the amateurs, which corresponds to the philosophy of the KZ2 category. A few factory drivers will be present, including Martijn Van Leeuwen (Energy / TM Racing / B’stone), Francesco Celenta (Praga / TM Racing / B’stone), Riccardo Longhi and Alexander Dahlberg (BirelART / TM Racing / B’stone), Alessio Piccini (Tony Kart / Vortex / B’stone), Nicolas Gonzales and Marco Zanchetta (Maranello / TM Racing / B’stone) and Alex Irlando (Sodi / TM Racing / B’stone), but the rest are in the spirit of KZ2. Tom Leuillet and Rokas Baciuska (Sodi / TM Racing / B’stone) appear after a convincing European campaign, along with Adrien Renaudin (Sodi / TM Racing / B’stone), a tightrope walker in the rain in Sweden. On their home soil, Germany’s Maximilian Paul (DR / Modena Engines / B’stone) and Alexander Schmitz (Tony Kart / Vortex / B’stone) certainly have a strong card to play. But with 21 Qualifying Heats on the programme, surprises could very well happen in the list of finalists as well as in the fight for victory.